Having grown up with four blind siblings, Lilli had a unique perspective on visual and multiple impairments in a career lasting through several decades. 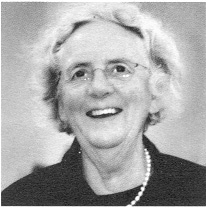 She was a special education adviser from 1967-96 for the Refsnaesskolen, National Institute for Blind and Partially Sighted Children and Youth in Denmark. She trained as a preschool teacher and psychologist with her PhD, awarded by The University of Aarhus, investigating spatial perceptions in congenitally blind infants. After she retired from Refsnaesskolen, in 1997 she was awarded by the Queen of Denmark the Knight’s Cross of the Order of the Dannebrog for her lifetime’s work. Her retirement did not preclude a continued professional involvement in research and being in great demand to present her work at many international centres of excellence. Sadly on 24th June 2013, Lilli passed away after a short illness, but many Therapists and Institutions are embracing her Active Learning philosophies and CAP Furniture continues to provide them with the Furniture and Equipment to do so.